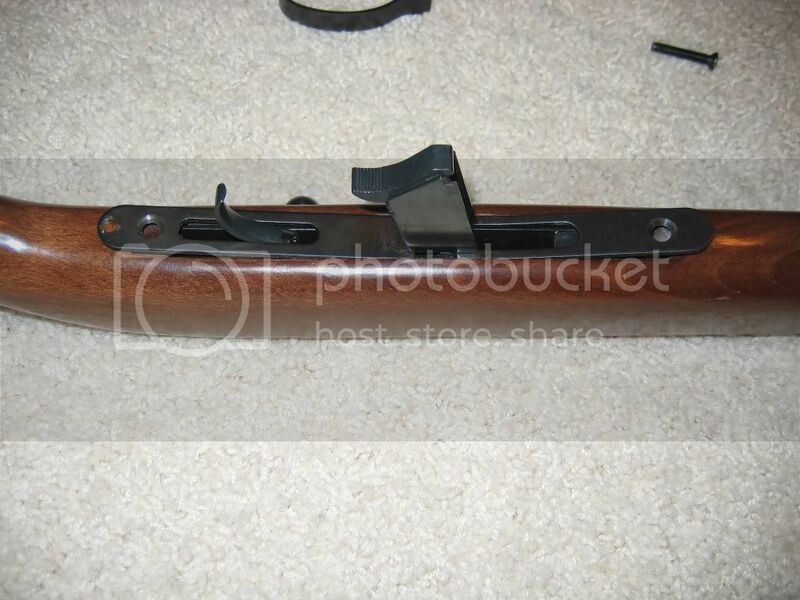 Thoroughly disappointed at the amount of information available on these rifles, I thought I'd write-up some basic disassembly instructions and provide a few pics of how these neat little rifles operate. 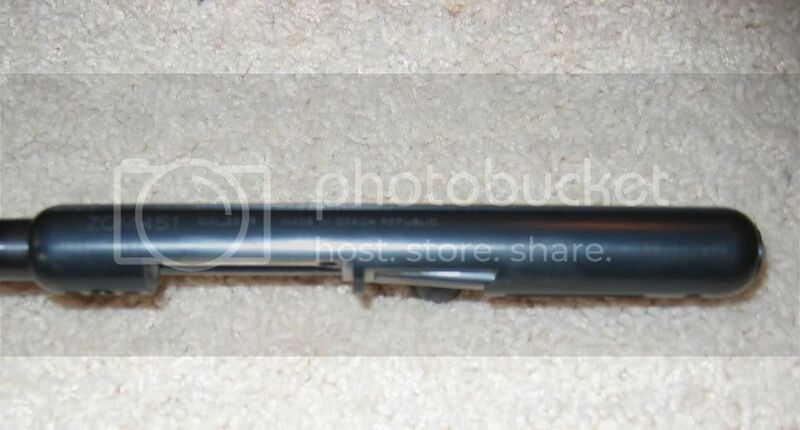 My particular sample has the basic specs of 43" OAL, 23.25" barrel of 0.630" diameter, and a 15" LOP. Trigger was stout at 7-8 lbs. according to my calibrated finger with a fair amount of creep. 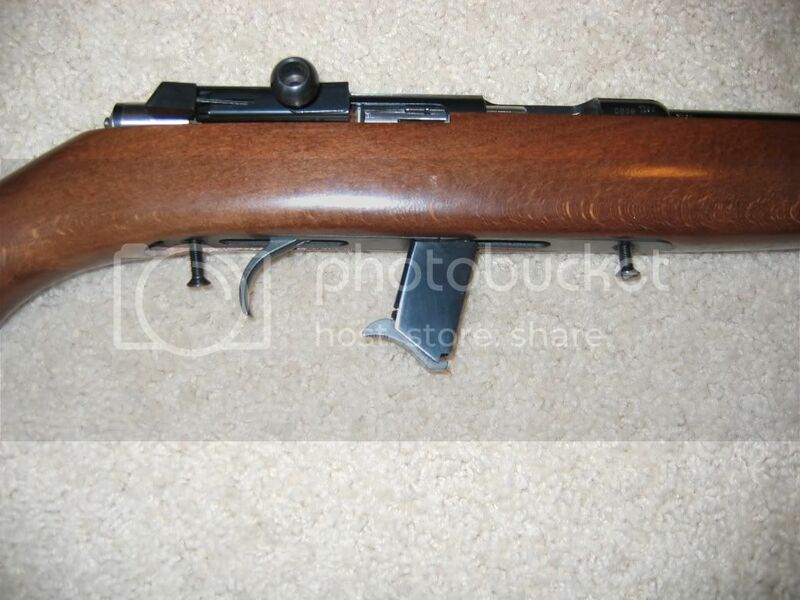 Stock is just the basic beechwood non-checkered version with the same style of sling swivels that come on the CZ 452 Trainer, Lux, Ultra Lux, etc. Haven't shot it a ton, so I'll save the range report for another day, but the sights are very square post & notch of a good design that should lend themselves nicely for punching paper. Purpose of this is to detail disassembly, so let's get started. 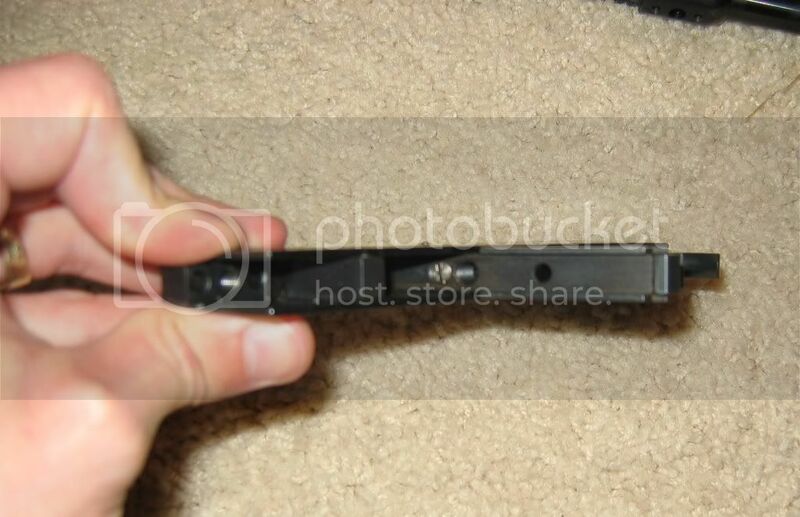 First of all, here's what the bottom metal looks like, one screw a the front and one at the back. To get started remove the rear screw, it's a wood screw and will allow the removal of the triggerguard. With the triggerguard removed, notice the second action screw that was hiding under the triggerguard. Now is the time to remove both the front and rear action screws. 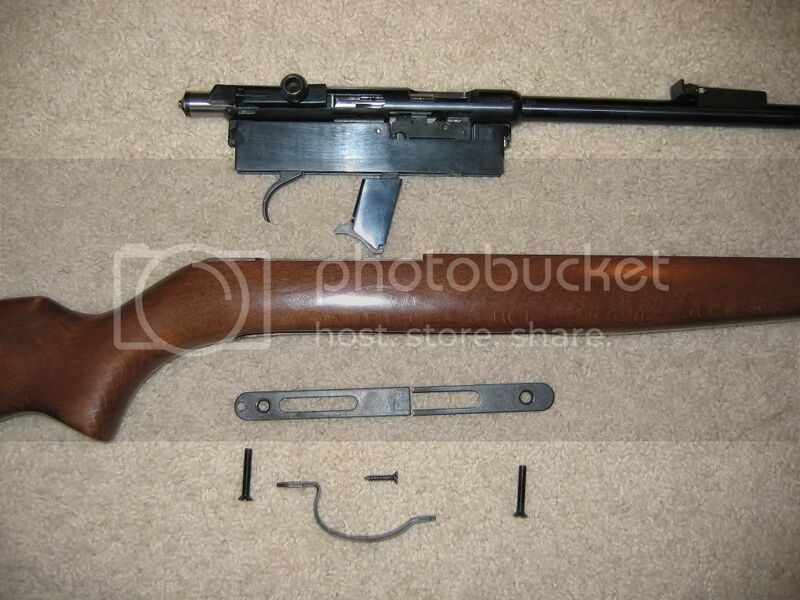 With the action screws removed, the bottom metal can be taken out of the stock. 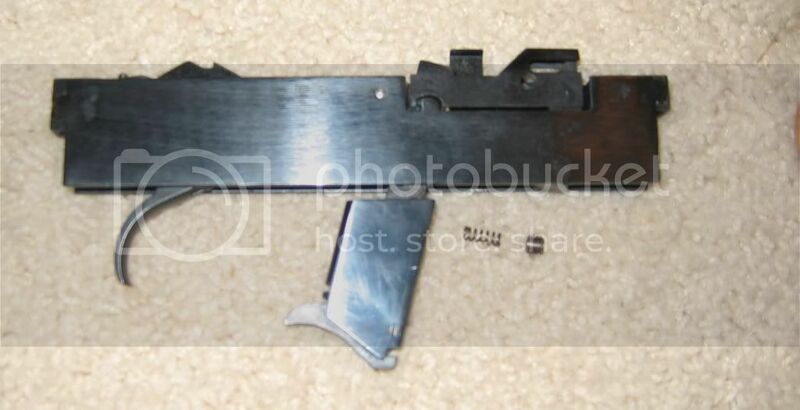 The bottom metal is in two pieces splint in the middle at the magazine guide. Pry up the foremost and rear most edges of each piece of the bottom metal and slide them out to the front and rear respectively. 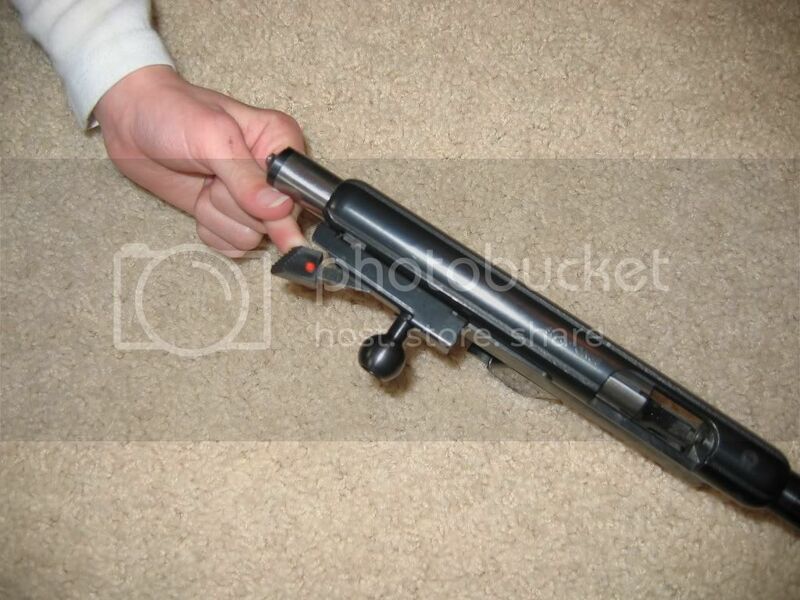 Now the action can be removed from the stock. 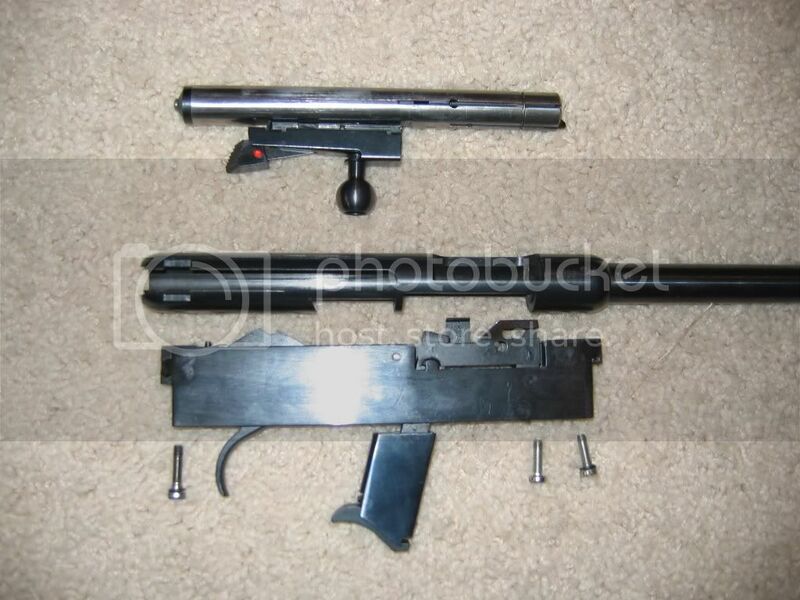 Now the trigger housing can be removed from the receiver. You'll notice 5 screws pictured below. 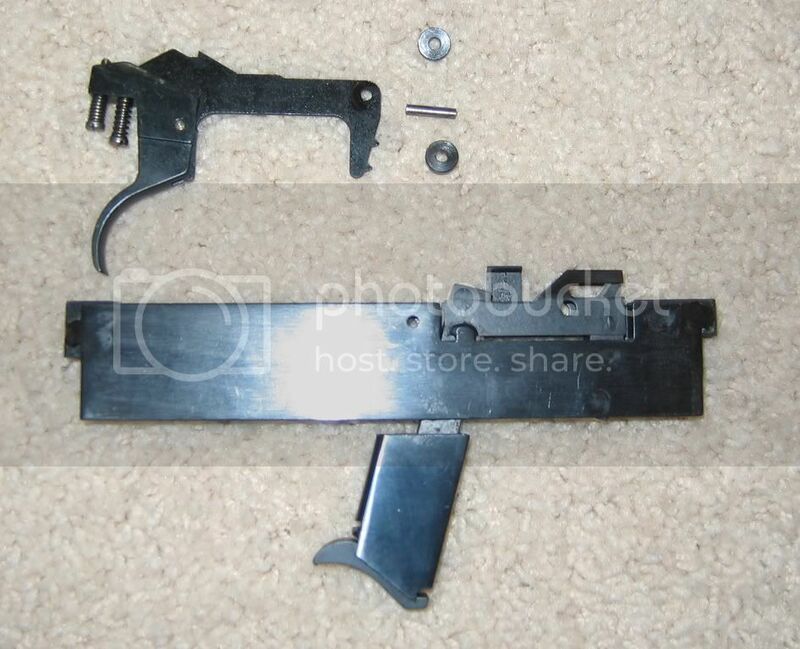 Remove the front two and rearmost to free the trigger housing. 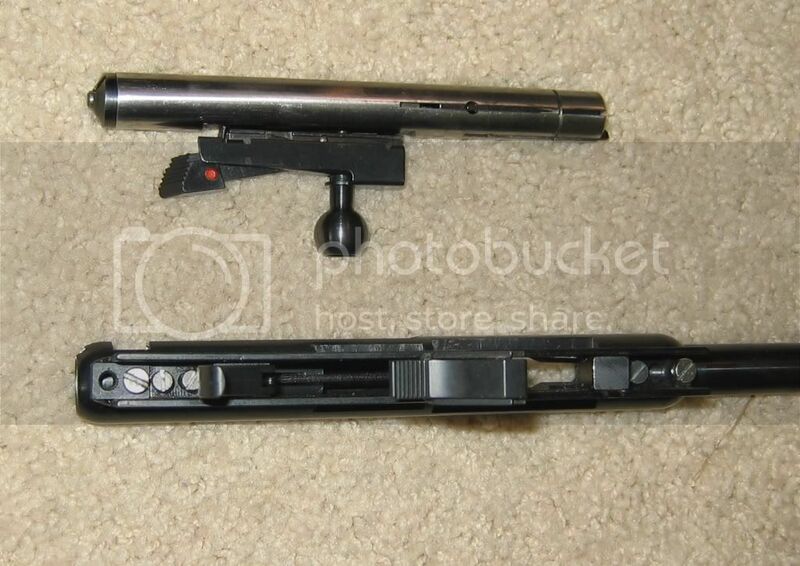 The two screws that you didn't remove are the trigger adjusting screws. Front one adjusts overtravel, and rear one adjusts sear engagement. Turning the screws in reduces both adjustments. There is also an adjustment for pull weight...sort of... As supplied, I could make the trigger a lot heavier, but not much lighter. This screw is located in the middle of the magazine guide. 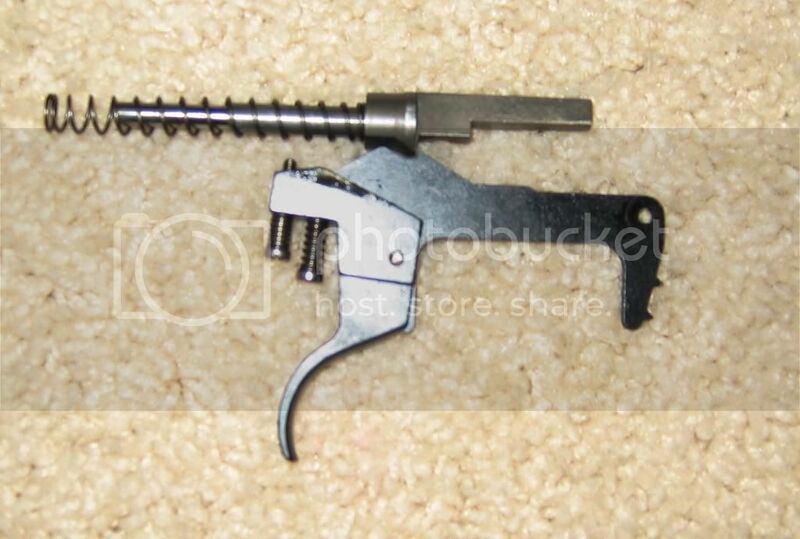 Removing this screw provides access to the spring which can be replaced with something lighter if desired. I put in an old 75 extractor spring which lightened the pull by a pound or two. At this time I'd like to show how the bolt lock-up works. In the first picture the bolt is almost closed all the way. Notice the little grey chunk of metal in the bottom middle of the receiver. As the bolt is closed all the way this piece is cammed downward locking the bolt in the closed position. When the bolt handle is pulled back after firing, this part cams back up inside the bolt and allows the bolt to be cycled. To disassemble the bolt, unscrew the end cap and remove the cap, spring, & striker from the bolt body. 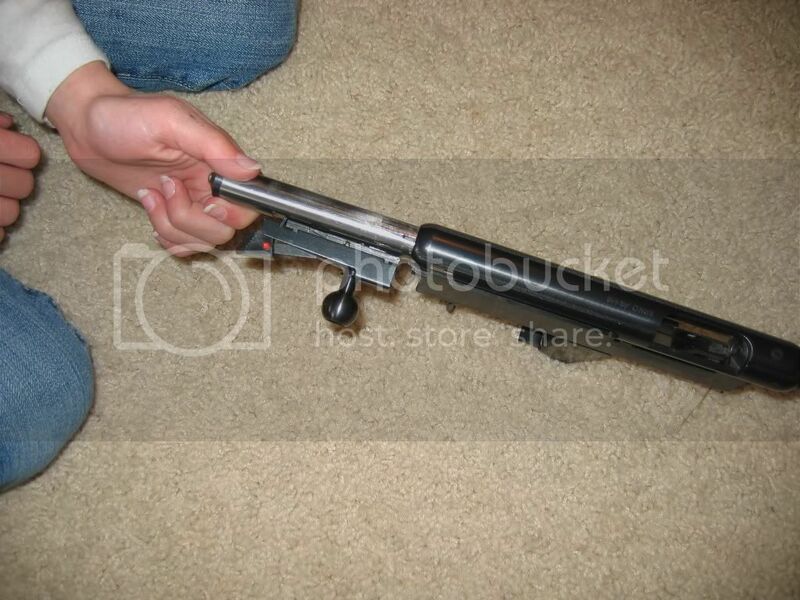 Then the bolt handle assembly and locking sear can also be removed. The bolt handle can now be removed from the assembly, but I did not attempt to disassemble the bolt handle assembly any further at this time. 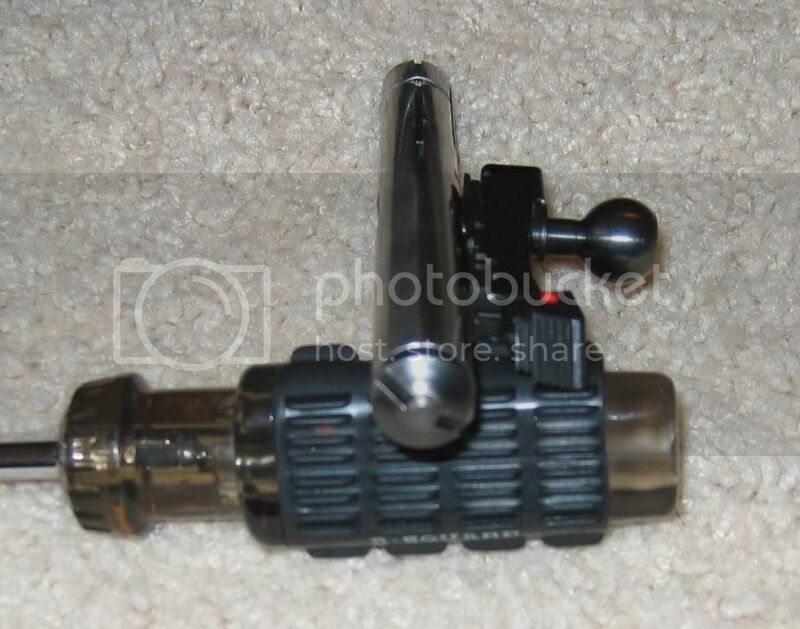 To remove the trigger from the trigger housing, drift the silver pin out of the trigger housing. The trigger and two spacers can now be removed from the housing. 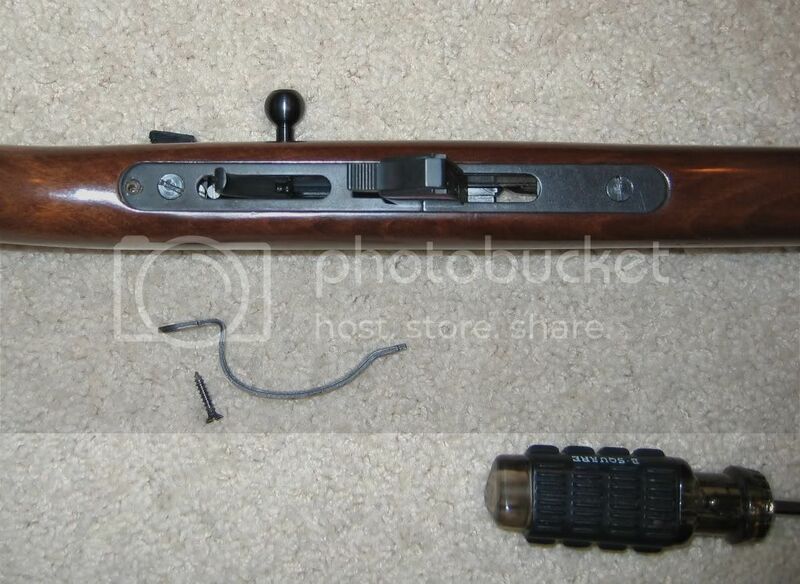 In this last picture, you can see how the trigger interacts with the striker as well as the two trigger adjusting screws. Hope this provides a better look at the ZOM 451 and assists the few owners out there to better care for and adjust their rifles. Thanks for the info. Great pics and directions. 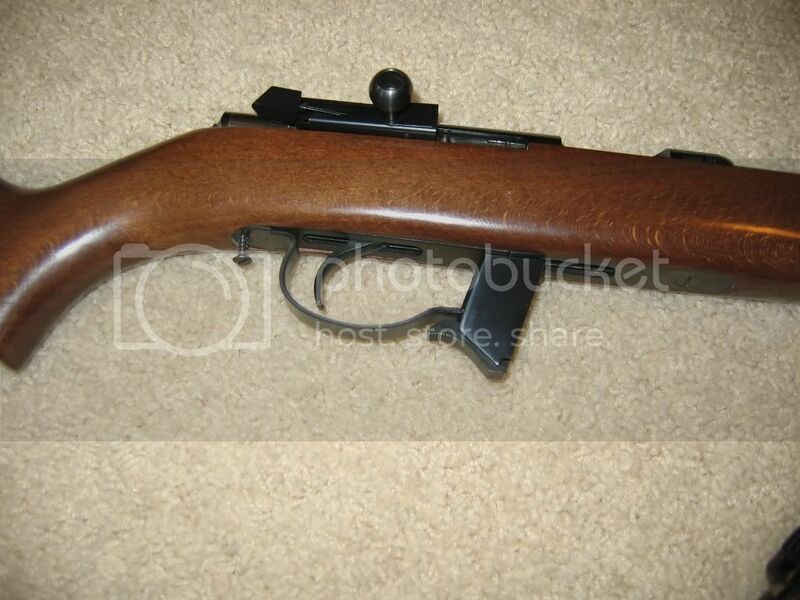 What kind of scope rings does this rifle take ? Everyone I spoke with does not know ?? 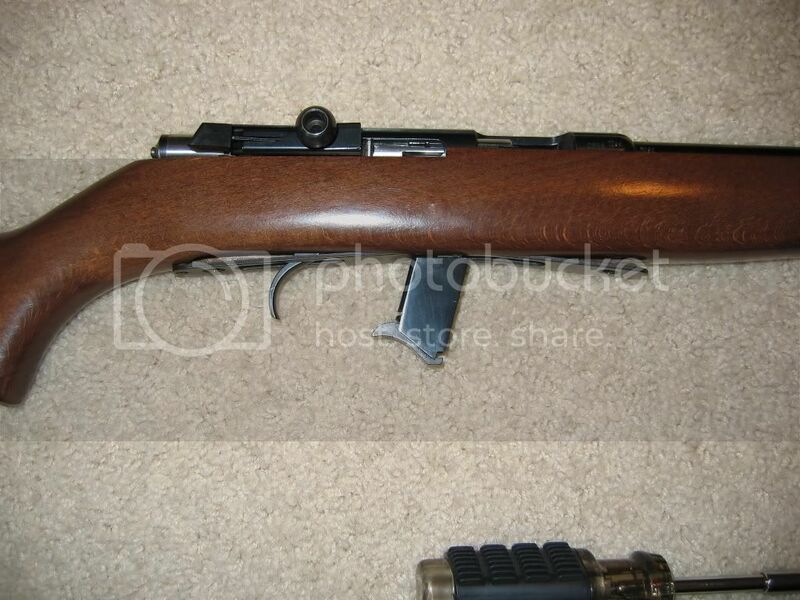 What kind of scope rings does this rifle take ? Everyone I spoke with does not know ?? Tip-off rings, but I don't recall if it required euro pattern or if 3/8" worked.